The Octo-Labra by The Source Collection is a high-end octopus candelabra for a tabletop. 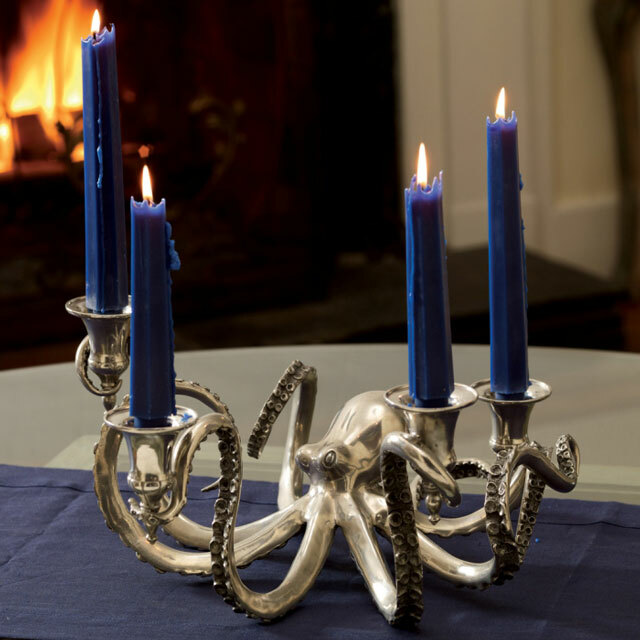 Four of its eight pewter tentacles can hold tapered candles. Our impressive octopus candelabra, or “Octo-labra” has eight fabulous tentacles, four of which hold standard tapers. The expressive movement, intricate anatomy, and wondrous form of the cephalopod are captured in the finest pewter. The fabulous styling reminds us of 19th century New England whaling tales featuring these feared “creatures” from the deep.